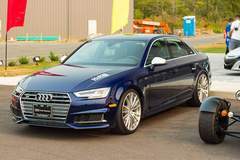 The Audi A4 and S4 have always been innovative and stylish vehicles – making them a huge hit with enthusiasts. To enhance the characteristics of these vehicles, H&R ride development engineers designed an all-new Sport Spring kit. 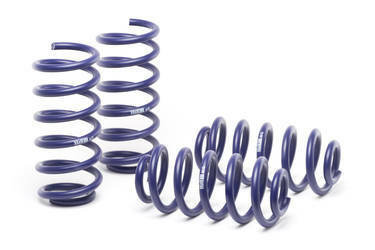 H&R Sport Springs (part #: 50357) improve handling and provide superb ride quality to the A4/S4. Lowering on sport suspension models is approx. 0.80” front and rear, and on non-sport suspension models, approx. 1.6” front and rear. Like all of H&R’s products, H&R Sport Springs are 100% made in Germany and use inductively tempered spring steel for unparalleled tensile strength and resiliency, allowing the use of a smaller wire diameter for reduced unsprung weight. 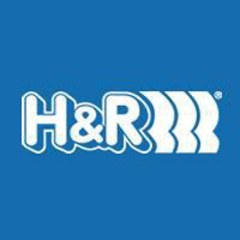 H&R Sport Springs are cold-wound, then time-tempered and shot-peened inside and out to maximize service life, for miles of smiles.